Dead Island is deadly good! It is an amazing creation in what is zombie games. You wake up on a resort island and that's when everything falls apart. A zombie plague has taken a hold, there are very little survivors and of them you're one of the few who are immune to the zombie virus. This makes you incredibly valuable to everyone who isn't a walking corpse yet. You choose your missions and decide who gets to live or die and the zombies are not always the most dangerous thing on the island. Dead Island is about desperation, all you weapons are found or created you don't just find AK-47's or Uzi's lying around every few blocks. You fight with baseball bats, paddles, sticks, crowbars, and your weapons wear down, get old, and break. You have to repair them constantly, upgrade them, and even create new ones like a baseball bat with nails. As the game progresses the zombies get fiercer, mutate, even regular zombies have a lot of variation in their behavior. And as the zombies seem to evolve you have to evolve to by creating some really awesome weapons like electrified bowie knives. Dead Island gets it right, you always feel like you're trying to survive but they keep it fun. The island setting makes for a stark contrast to the nightmarish situation you are in and allows for a very diverse cast of characters and backgrounds. The performances are decent most of the time and you are given four characters to choose from. The male leads are pretty stereotypical but the female characters are awesome. Dead Island also has great multiplayer in the most subtle way, when you're playing at home you will be alerted when other people are playing in the same location on the same map. You can then choose to join their party of survivors and this is all done in game so you never need to leave the single player campaign to go to a lobby, it's a very smooth transition. And surviving the game with strangers says absolutely the right tone for what's happening in the game. Though when you're playing alone you are alone, the computer does not play the other characters for you, so when the cinematics play all four characters appear and this feels really disjointed, were these guys actually hiding in your backpack this whole time? There are a few bad performances, stereotypical characters, and it's nothing like the cinematic trailer but the gameplay is rock solid and the game is addictive. 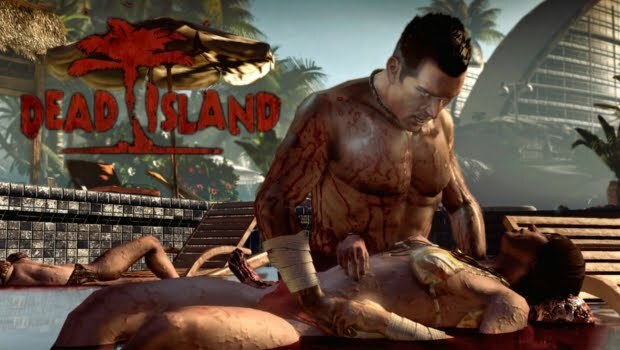 Dead Island is original and fun in a genre that has plenty of competition and I can't wait to play a sequel. If you love zombies and games, then you will love Dead Island, I give this game 8 stars out of 10.